Two significant incidents that took place in the 3rd Century B.C. stand out in Sri Lanka's nearly 2250 years old history which brought about a social, religious and a cultural revolution in the country. 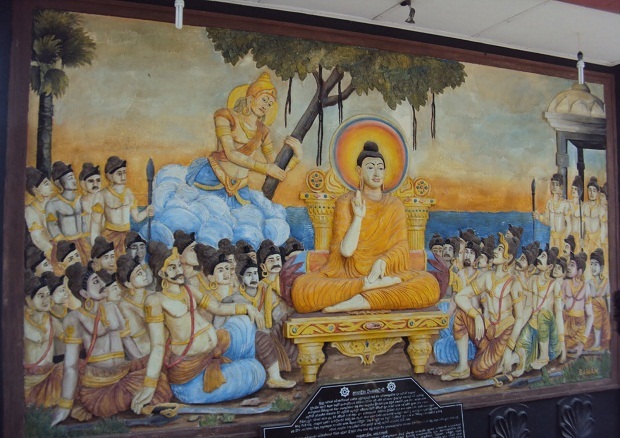 As a messenger of Emperor Dharmashoka of India, Arahath Mahinda arrived in Lankadeepa on a Poson Full Moon Poya Day with the gift of the Dhamma which was soon embraced by King Devanampiyatissa and his citizens. Arahath Mahinda's historic visit was soon followed by the arrival of Arahath Sanghamitta on an Unduwap Full Moon Poya Day with a sapling of the Southern Boe of India's Jaya Sri Maha Bodhi under which the Buddha attained Enlightenment. It was Arahath Sangamitta who pioneered the Order of Bhikkhuni (Bhikkhuni Sasana) in Sri Lanka. 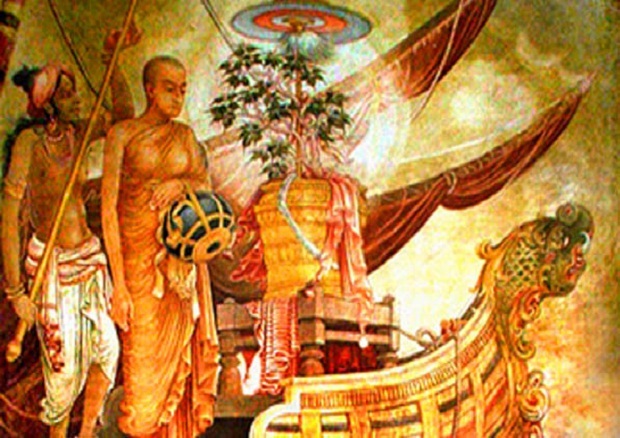 Thus Unduwap poya day which falls on December is a day of great significance to Sri Lankan Buddhists. 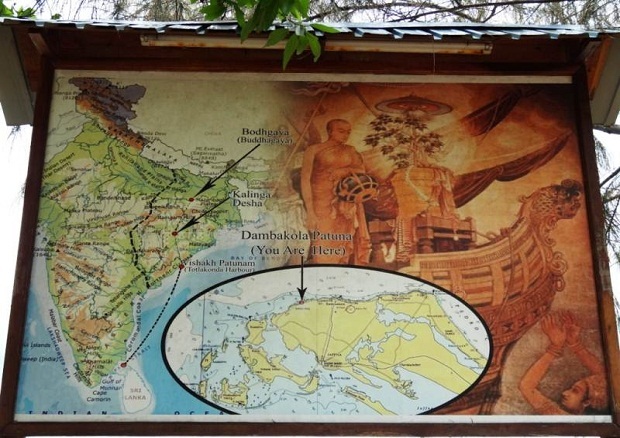 Upon the request of King Devanampiyatissa, his nephew Aritta gave his consent to undertake the tour to India in order to meet Emperor Asoka and make arrangements to bring a Boe Sapling from Sri Maha Bodhi, provided he was permitted to enter the Order on his return. As the mission was a success Arahath Sangamitta and retinue arrived in Dambakola Patuna Port with the Boe Sapling placed in a golden bowl. 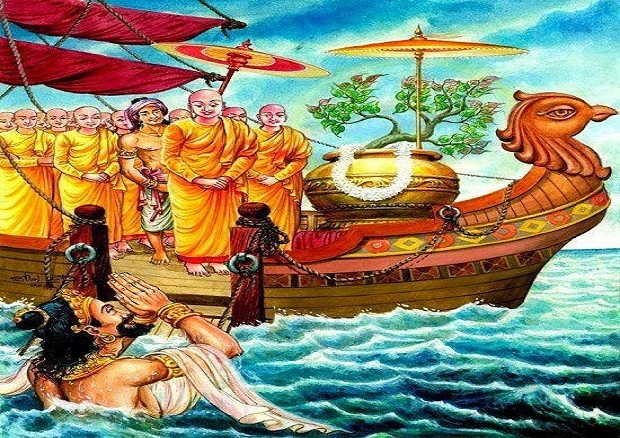 The king Devanampiyatissa got into sea up to a neck-deep depth and received the Sri Maha Bodhiya. After performing the necessary rituals, the Boe Sapling was ceremoniously carried to Mahamevuna Uyana in Anuradhapura and was planted at an auspicious time during Rehena Nekatha. 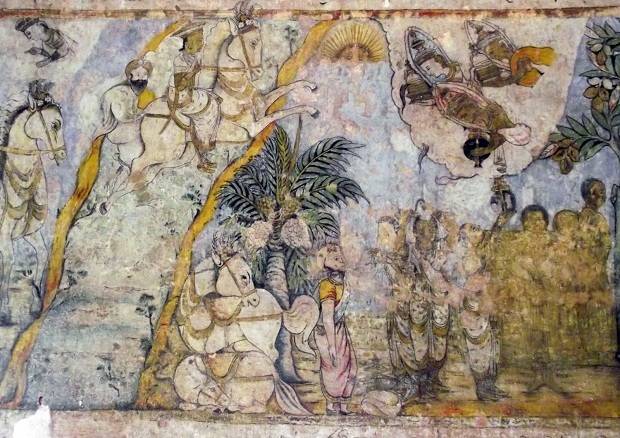 Over a thousand men entered the Order on that historic day, reveals Mahavamsa. Arahath Mahinda Thera, King Devanampiyatissa, and Arahath Sanghamitta participated in the historic ceremony along with Kshatriyas of Kataragama, Chandana Grama and Thiwakka and Brahmins. The seeds of the tree which was given to the King by Arahath Mahinda was sown on his advice. Later the eight saplings were planted in areas like Thiwakka Bamunugama, Kataragama, Chandanagrama, Thuparama, Isurumuni Vihara, Palamu Se Maluwa and Segiri Aaramage. Thirty two saplings from those trees were planted all over the island. The Sacred Boe Tree remains there to this day, not only as the oldest tree in the world but also the only tree in the world which has an authentic history, attracting thousands of devout Buddhists. Along with Arahath Sanghamitta, eleven Bhikkunis and people of higher Cast who are skilled in eighteen different working spheres such as architecture, masonry, jewellery industry, irrigation, engineering also arrived in the country, pushing the country forward in every aspect. The people who came to the country for the protection of the Boe Tree performed necessary rituals to the tree inspired the citizens, directing the country in a new path. Literary activities too developed. In short, the cultural practices and skilled labour brought about a remarkable change in the social and religious life of the country. Massive constructions such as Mahavihara, Chethiyagiri, Thuparama, Isurumuni, Vessagiri show the creativity of that era. Rituals associated with the Boe Tree were initially performed by various categories of people who arrived in the country with Sanghamitta Theri. 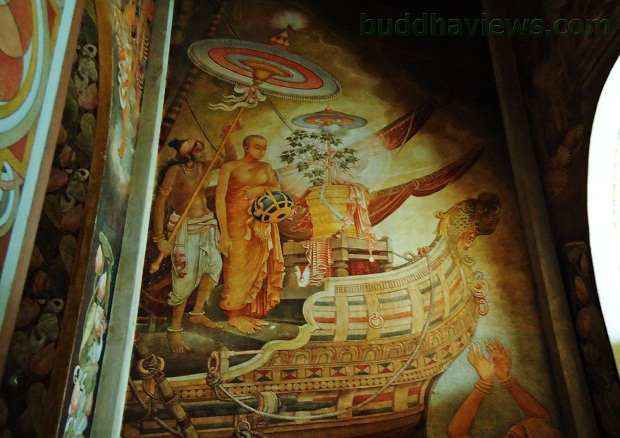 In fact each of those rituals were performed by the people of eight villages who settled down in Anuradhapura. The names of these villages usually started with the word 'Vihara'. The bathing of the Bodhi with milk, making offerings of robes and special ceremonies were often conducted by Bikkhus and Bhikkunis. Every year Unduwap Full Moon Poya Day will be celebrated with much piety country wide performing religious activities, also conducting processions and carrying the statues of Arahath Sanghamitta.